This morning I woke up thinking about analytics. Sounds odd, I know. But, while doing my morning current events browsing, I read that the tech company of all tech companies (Apple) acquired Topsy Labs, a social media analytics company. Apple, an electronic manufacturing company known for its innovative new products, is on to something again. This time it’s not a new iPhone or iPad. Nope, this time it’s analytics. Last month, I had the opportunity to attend a class taught by Austin Gardner-Smith and put on by Young Women in Digital and General Assembly called “Deep Dive into Marketing Analytics.” The objective of this workshop was learning how to measure the effectiveness of your marketing program, whether it’s through email campaigns, social media, or content creation. As I have blogged about before, all of the above are essentials when creating (and maintaining) a robust digital marketing presence for your electronic manufacturing company. However, now that you’ve been blogging on the regular, connecting on social media, and creating content for prospective customers and website visitors--- What’s the next step? The bottom line is, when investing time and money into something, you want a payoff. You want to be able to track what’s working, what’s not and most importantly that the return on investment is good. This is where analytics comes in; the process of applying online data to predict, manage and improve your electronic manufacturing business’ performance. 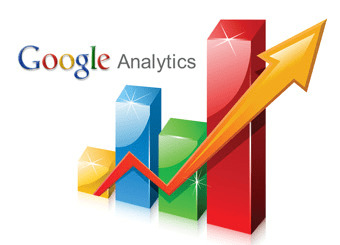 One great analytics service out there was created by a little company called Google. With Google Analytics you are able to generate statistics about your website’s activity and traffic, including where website visitors are coming from (both geographically and online), what pages they are visiting, how long they are staying and what keywords they were searching for. 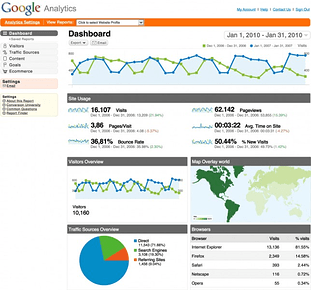 In addition to all of this, Google Analytics also allows you to see your data in an easy dashboard form or in detailed reports. Though we are a B2B electronic manufacturing company, Google Analytics does have an e-commerce reporting ability which could be beneficial if you are selling electronics or circuit boards directly online. This function lets you track and measure website transactions, conversions and sales. The best part about Google Analytics…it’s completely free. Once you pick an analytics service that fits your company’s needs you can dive in on the fun stuff, like analyzing the data. You’re able to see what pages are the most active and popular, and which ones might need some spicing up. By looking at the pages that are most frequented or poorly performing, you can better optimize or direct people to them. For example, our “Meet the Team” page is very popular, but our engineering support page doesn’t get much action. Noting that, we can continue to do blogs and social media posts from different team members since visitors have an interest in that. We can also make sure to highlight our engineering capabilities in the future. Utilizing the demographics reports, you may find there are returning website visitors coming from one area of the world that you have not yet targeted. What better way to bond with your sales team then to provide them with possible prospect data, such as what prospects are looking at, where they are located and where they were referred from? If you are like us and utilizing pay-per-click networks like Google AdWords or Bing Ads, or email marketing services like Constant Contact or HubSpot, all of these integrate nicely with most analytics services. We use Google Analytics to track our pay-per-click advertisements, conversions, email opens and link clicks. While you’re analyzing your online data, it’s also important to take the time and take a closer look at your social media outlets. Now that you have those outlets established, it’s time to focus on the data behind it. Using social analytics you’re able to see the impact of your social media outlets. You can see which outlets are really booming with either conversation or a growing number of followers and which ones might need a little more attention. There are a ton of social media specific analytics services out there as well. 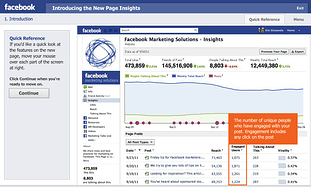 Facebook and LinkedIn have Facebook Insights and LinkedIn Insights. Topsy, as mentioned before, specializes in Twitter. This allows you to analyze any topic, term, or hashtag ever used on Twitter. You’re able to identify keywords, opinions and content while also using metrics to predict current and future trends. Other helpful social analytics services out there that I've used are, Hootsuite, SocialBro, and Simply Measured. A great thing about all of these services is that many of them offer free trials to get a feel for their capabilities. Saving the best for last, by utilizing online analytics you are better able to customize your electronic manufacturing company’s digital strategy to better target your specific audiences. At RBB, we serve different types of customers. For example, when marketing towards OEM’s we focus on the fact that we embrace recurring small batches and thrive on low volumes of circuit boards. When it comes to Contract Manufacturers, we market the fact that for years we have been establishing partnerships and that we don’t compete, we complement. Using analytics we are better able to measure the effectiveness of our different email campaigns, our blog posts and pages devoted to these customers. Though there were a ton of other tips, (which I will share in a blog post next week) one of the biggest takeaways from this workshop was the idea that all of this data is just waiting for you to take advantage of it. Digital marketing is not only the present but also the future. By utilizing the services and options out there, you’ll be able to better serve current customers, you’ll have increased engagement and conversion and ultimately, more new customers.